NASHVILLE, TN — In keeping with a 24-year annual tradition, Chief Steve Anderson is assisting Rabbi Joshua Kullock and the congregation of West End Synagogue in their celebration of the Passover holiday. 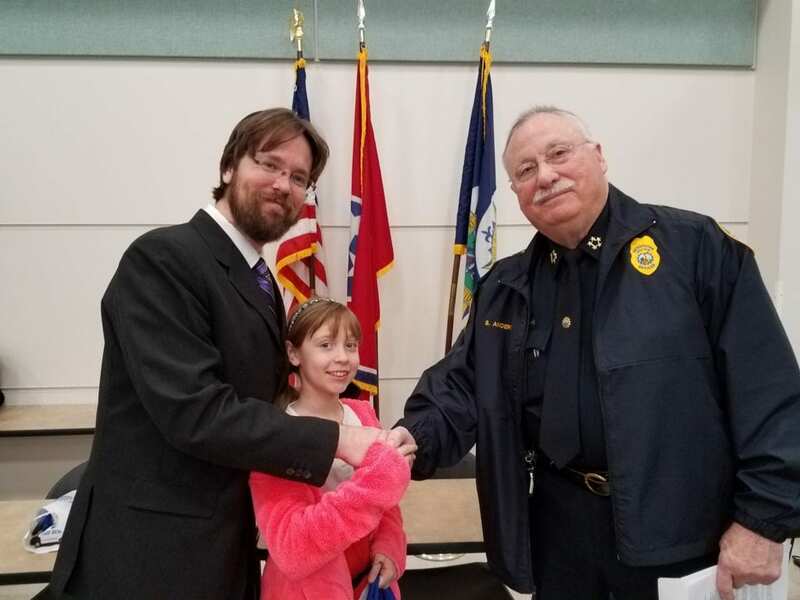 Chief Anderson this morning formally purchased leavened products, known as “chametz,” from the West End Synagogue congregation. Jews are prohibited from owning items such as bread, cereals, and even beer, during the holiday. In many instances, Jewish families place canned or packaged leavened foods in a closet or cupboard that will stay closed for the duration of Passover’s eight days. A rabbi is given power of attorney to sell all of the products to a non-Jew until Passover has ended. After the holiday ends, Rabbi Kullock will buy back the leavened products from Chief Anderson. In appreciation for this annual tradition and the MNPD, the West End Synagogue is making a donation to a local charity.